After completing a successful 4,100 square foot urgent care tenant improvement in the Garfield Place Medical Office Building, Primary Health Medical Group looked to BRS Architects for help in planning a larger ground up facility in Northwest Boise. Primary Health wanted to combine 2 smaller separate clinics into one new facility that was central to the clinics they would be closing down. 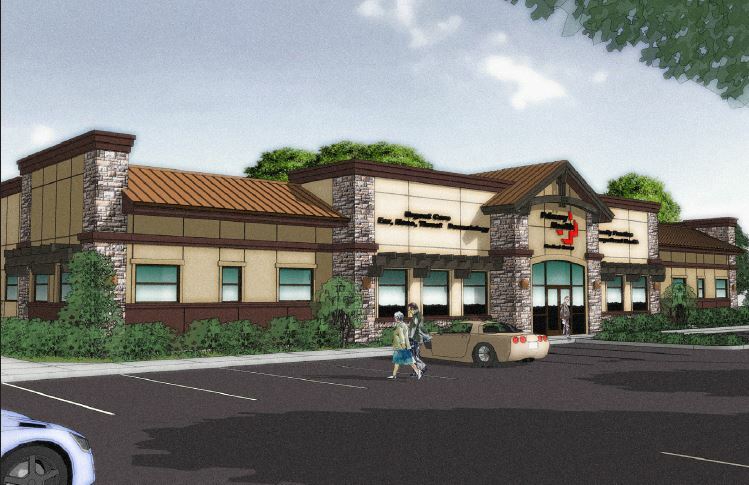 The new 13,100 square foot single story office would house an urgent care component and an occupational health practice for dermatology, ear nose & throat and physical therapy. To further facilitate the design process a local developer was chosen to develop the project and a general contractor was picked at the start of design. With a design/build team formed, the project design developed very quickly and via weekly meetings with the owner, end user, contractor and A/E design team the final design went in for permit ahead of schedule and came in under budget when the construction pricing came in. The state of the art medical facility features a common lobby with divided reception areas to serve the two clinic functions. An X-Ray suite and three procedure rooms along with three laboratories are positioned in key areas through the space so they can be efficiently utilized by the team of eight doctors that will work in the building. The 21 exam rooms are arranged along the perimeter walls so that every room has a window to the outside and an opportunity for daylight and views into the patient areas. Planning for the future was considered in the design, and if necessary the space can be subdivided to a new tenant. The arrangement of common area core functions and splitting the electrical and mechanical services will allow this to happen conveniently if the need ever arises.